Creating a Facebook page will get you a lot of publicity around the world, but in order to be noticed, you must be different. 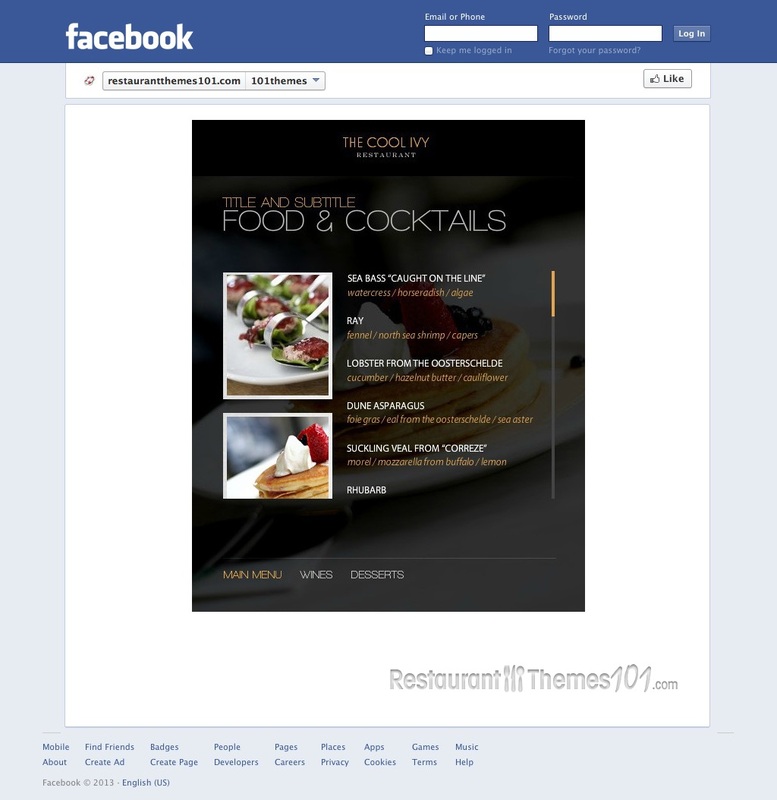 Finding a great Facebook restaurant page template is not easy, but if you nail the right one, you will see your business blossom in no time. 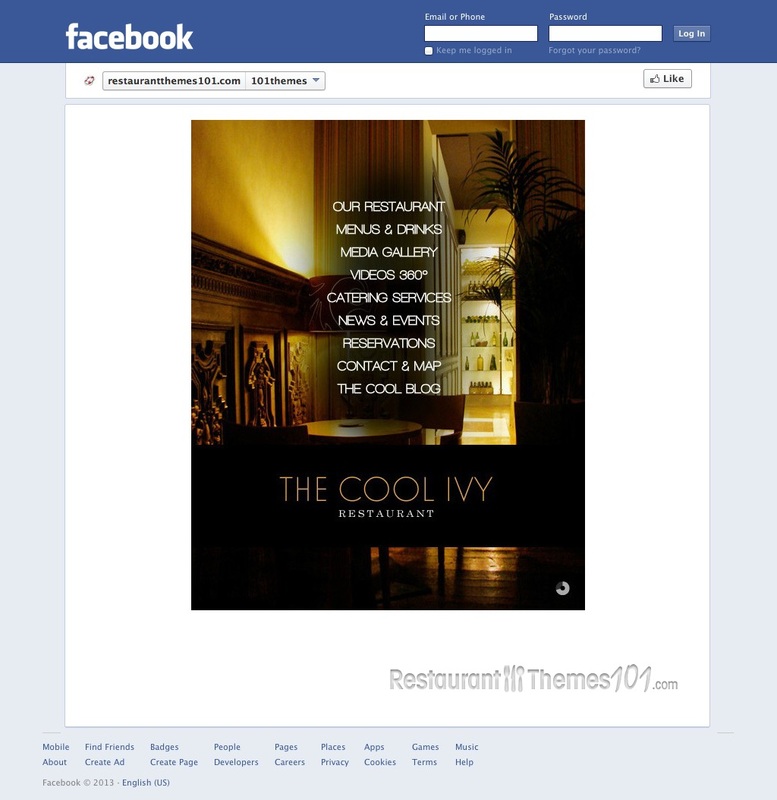 The Cool Ivy is a great template created by PezFlash, and featured at ThemeForest (ActiveDen area). 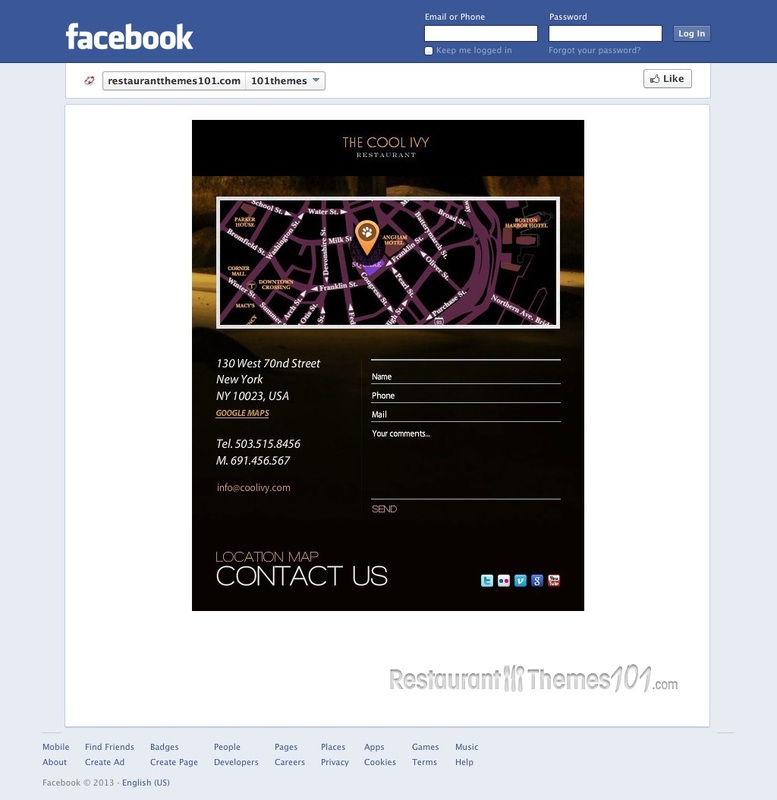 The design of this template is extremely flexible, and it can perfectly fit your needs no matter what kind of restaurant you are running. 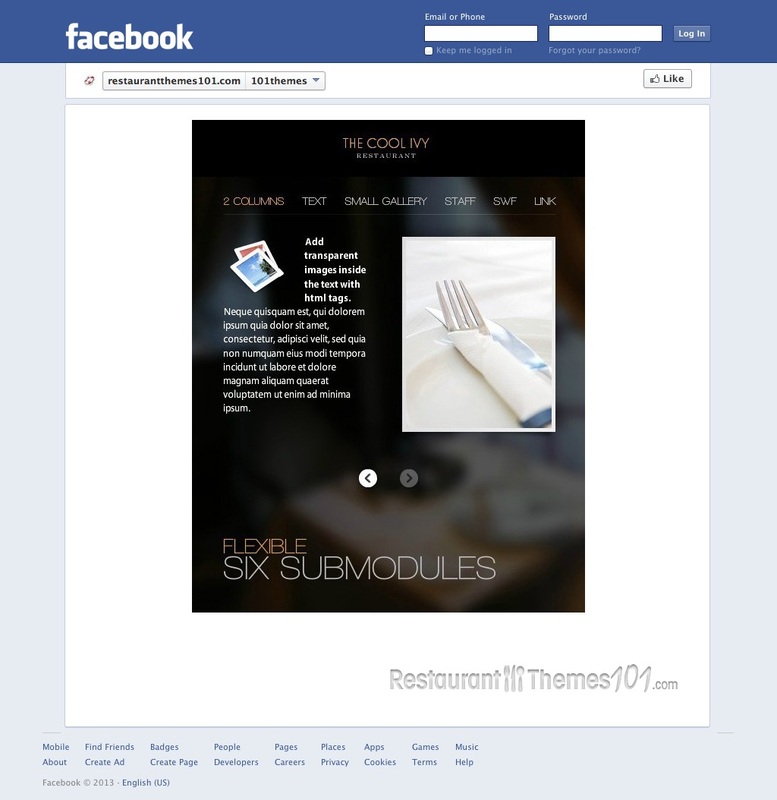 If you want a stylish presence on Facebook, this template will provide elegance with a very clean and minimal style. 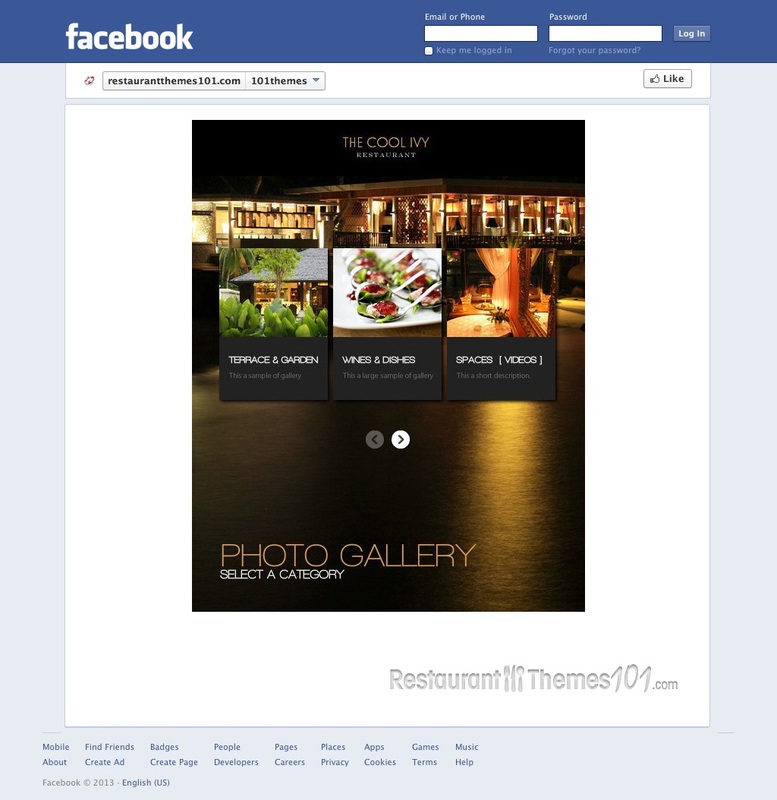 Your restaurant and all its services will be in the spotlight, and it will be shown in a beautiful, attractive way. A nice, elegant background slider will grab your visitor’s attention with the pretty, quality photos of delicacies and pleasant restaurant ambience. A nice, relaxing music can be added and set on auto play, so your visitors can maximally enjoy browsing through your page. 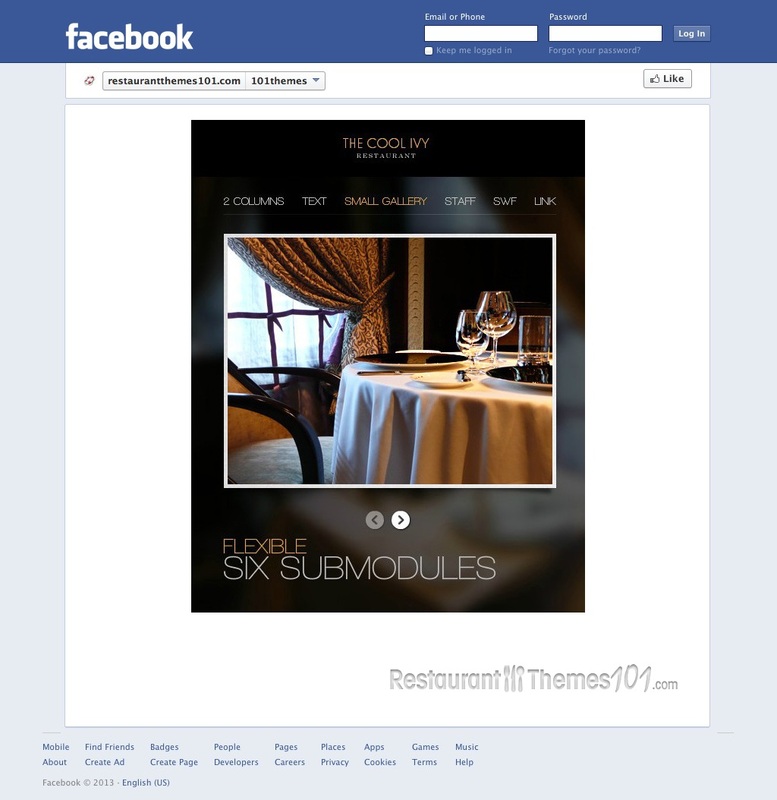 You will be able to fully represent your restaurant through various sections available. A fantastic menu is featured, and a media gallery also, and this is where you can present all of your delicacies. 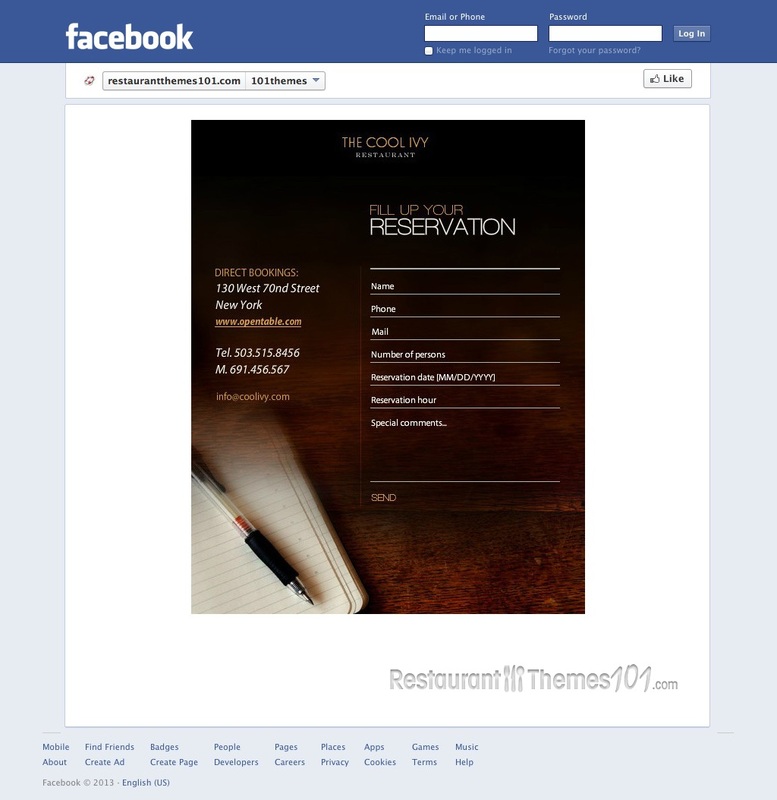 There is a great reservation form included, and it allows your visitors to book a table right there on your Facebook page. News and events are featured as well, making it very easy for you to keep your visitors updated on anything that might be going on at your restaurant. A blog section was added for you to be able to post as much as you want and bring your restaurant as close as possible to your visitors. 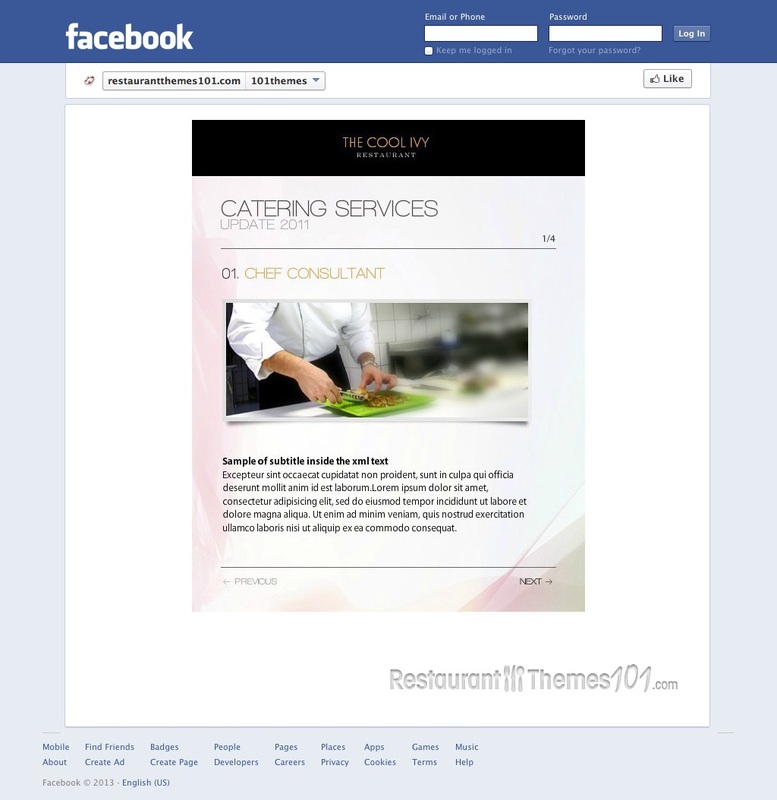 Everything about the template is customizable, including text and images. A fully layered Photoshop file with all design elements included comes in the package, so you can play around with it and make your Facebook page unique and very attractive.